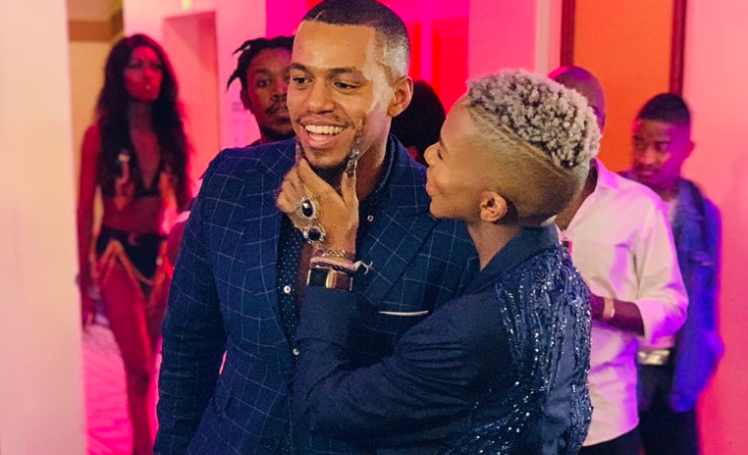 Actor Cedric Fourie has slammed women who called him a "waste" of a good man for hanging out with YouTube star Lasizwe. Cedric Fourie caused a stir last week when he posed for pictures with YouTube star Lasizwe. The 'Skeem Saam' star and Lasizwe kept their fans guessing by playing coy about their appearance at the SA Feather Awards last week. Many social media users believed it was just a publicity stunt while others were quick to assume that Cedric was coming out of the closet. The stars are reportedly just friends. While many people gushed about how handsome they looked on the red carpet, some made nasty comments about Cedric. One Twitter user suggested that Cedric, who often has female viewers swooning over his looks, was a "waste" of a good man. "This guy from #SkeemSaam is gay... What a waste and to believe I had a crush on him," the woman wrote. Cedric hit back. Not only did he defend the LGBTQI community but he also slammed "bitter women" for their nasty comments online. "Lol this experience has taught me a lot. Gay men are being called “waste” by some bitter women who’ve just realized they’ll never have them. As if they’d have them if they were not gay. I will never stop being an ally to the LGBTQI+ community ninyile," he tweeted. Lol this experience has taught me a lot. Gay men are being called “waste” by some bitter women who’ve just realized they’ll never have them. As if they’d have them if they were not gay. I will never stop being an ally to the LGBTQI+ community ninyile. His followers applauded him for taking a stand. Here's a look at the pictures that got people talking.